Former welterweight top contender Thiago Alves was in a generous mood this past UFC 117 weekend. 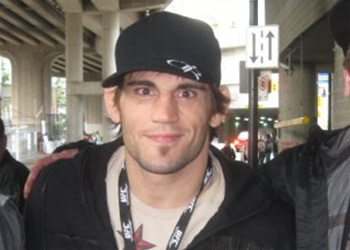 Not only did the Brazilian give Jon Fitch his 23rd professional victory en rout to earning next in line status, but he also kicked down a phat wedding gift for the man that now holds two convincing wins over him. “It was only half a pound and the thing with California, like when I fought Diego (Sanchez) here I missed weight too my first try, the scales are digital and they round up to half a pound. He could have been a fraction of a quarter of a pound over and they would have rounded him up to half a pound,” Fitch explained at the post-fight press conference. Fitch was awarded 20 percent of Alves’ show purse after he was unable to hit the 171-pound maximum allowed in a non-title welterweight contest. The fact he was unwilling to even try to lose another half pound should be a good indicator that he had already cut far too much. Prior to Saturday night, Alves hadn’t been seen inside an Octagon since getting dominated by welterweight king Georges St-Pierre at UFC 100 in July 2009. The 13-month hiatus was apparent, if not blatantly obvious, as the normally explosive 26-year-old was a step slow and sluggish all night.